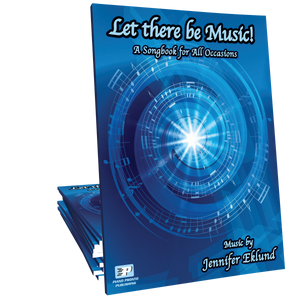 Star Search is part of “The Getaway” choose-your-own-adventure-style book series by Canadian composer, Lisa Frederick, that allows the student to choose how their musical adventure unfolds. 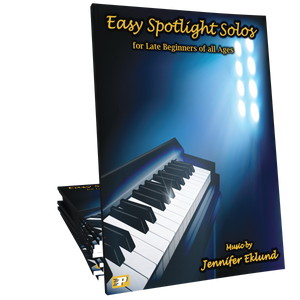 Featuring twelve showcase solos in varying styles and tonal centers, this collection is ideal for beginners and late-beginners of all ages. Take a spectacular journey to outer space or become a sports superstar, you decide what happens first! My students and I have really enjoyed starting our year with this book. I love that the pieces are played in different key signatures both major and minor, and several with LH intervals making them easy to learn while expanding the keyboard beyond C position. The students love the 'choose your own adventure' style of the book, along with the variety of pieces. A perfect supplement for early Movement 1 students! Okay, you loved The Getaway, but you wanted something a little easier for students in their first or second method book? Star Search is the ideal answer: a collection with wonderful punny titles and excellent musicianship throughout. Favorites include Basses Loaded and Warp Speed!